Once you have found the cycling chamois that best suits your needs, you will want to use it every time you ride a bike: comfort and wellbeing are in fact essential elements for enjoying a pleasant outing on your bike. For your favourite cycling shammies to last long, follow our suggestions and do not underestimate the maintenance and washing techniques, whatever the level or length of your sports activity is. An appropriate washing technique will lengthen the life of your sportswear and will avoid the proliferation of irritating bacterial infections on the under saddle. Frequent washing will inevitably lead to wear and tear, but at the same time will prolong the lifespan of the wear, by following some simple tips and avoiding any method that may be too drastic. First one should wash the pads once just after purchasing, after which these will be washed each time after use. It would be preferable to wash the pads immediately on your return, so as not to allow the residual sweat the time to start an unpleasant bacterial proliferation. If you are not able to wash the pad immediately after use, we recommend that you at least give it a quick rinse in a little cold water. You can wash your shammies by hand or in the washing machine at a temperature not above 30°C: before washing it is useful to turn the shammy inside out with the seams on the outside. 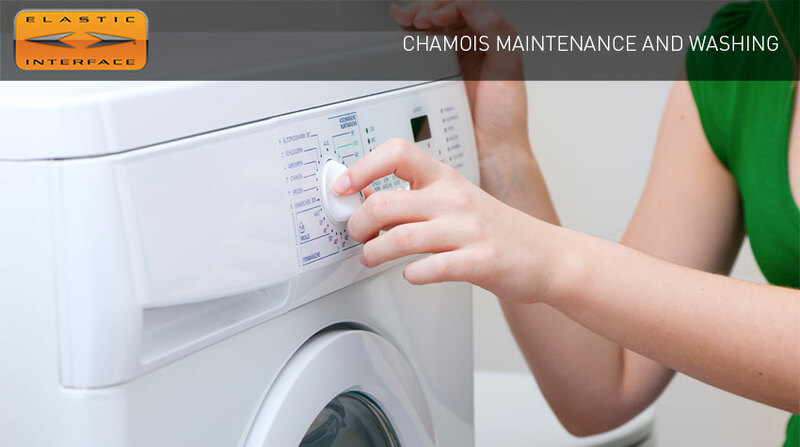 If you prefer the washing machine, wash the chamoises on their own, putting them if you like in special net bags in order to avoid eventual damage caused by the contact with other garments with zips or Velcro strips. Be careful not to mix dark garments with light ones in the same wash.
Use neutral and hypoallergenic detergents, liquid and not solid ones. Do not add bleach or softener as these could reduce the lift of the foams contained in the pads. When the wash cycle is over don’t spin dry, or rub or wring the chamois excessively: to get rid of the excess water it is sufficient to press the garment between your hands. Dry the shammies by spreading out on a flat surface or hanging them up, but avoid placing them directly on the radiators or using driers that could ruin the padding. Finally, you should never iron your shammies: you will avoid possible damage and you’ll save time! Incorrect practices and beliefs are difficult to change: in fact many remain convinced that to eliminate sweat and bacteria, technical sportswear needs aggressive washing in high temperatures. Also some cycling teams have developed the bad habit of washing their cycling garments at increasingly high temperatures (80°C, for example) compared to the recommended temperature, in the hope of eliminating as much bacteria as possible. This high temperature wash not only ruins the quality of the garments but also drastically reduces their lifespan. The normal household detergents have fully effective anti-bacterial properties at a temperature of 30°C, which is more than sufficient to avoid the proliferation of bacteria. Washings at high temperatures are therefore not beneficial for the cyclist’s health and could damage the fabrics and foams in your favourite cycling pads.